The Official US PS Blog posted a real nice article about the upcoming XSEED developed game. We've written up some articles about this, including the cool silver anniversary edition for $60. This includes not only the game itself, but also a 120+ page book full of maps, strategies, and art, along with a 3-CD compilation of music (both original and arranged) from throughout the Ys series’ storied history. 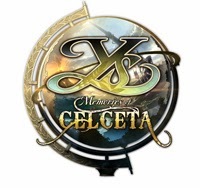 Plus, a detailed cloth map of the lands of Celceta, and a logo-emblazoned compass. Check out the Adventurer Trailer to keep you interested until the 26th. Are you getting this? Let us know in the comments!